. 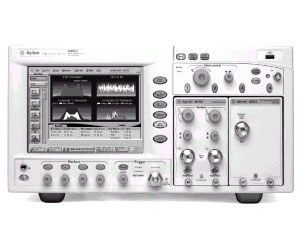 A full-function oscilloscope with bandwidth in excess of 80 GHz ensures the most accurate waveform measurements. Probing - if connectorized test points are not available, use the award-winning Infiniimax probes to their maximum bandwidth advantage by pairing them with the N1022A probe adapter and the wide bandwidth inputs of the DCA-J.